Twist things up with this speedy promoter – 24HR! Show your creativity with these modern highlighters. Unlike conventional marker highlighters that use ink, these impressive highlighters are made of wax. These long-lasting promoters won't dry out if left uncapped. 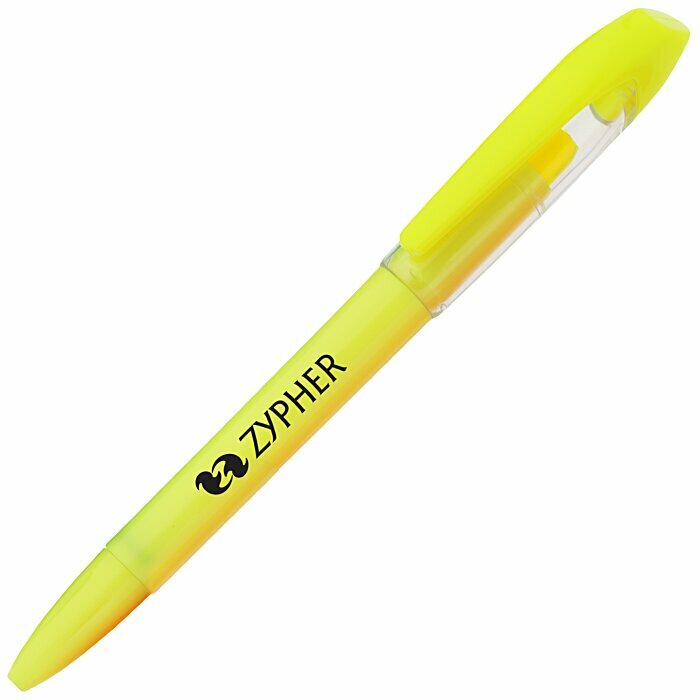 Simply twist the bottom to advance the highlighter. Highlights your texts with a bright, clear thin line of neon wax. Available in several bright colors for your highlighting needs! Use the cap and clip this wax highlighter to your papers, binders or pockets and always have a reliable highlighter on hand. 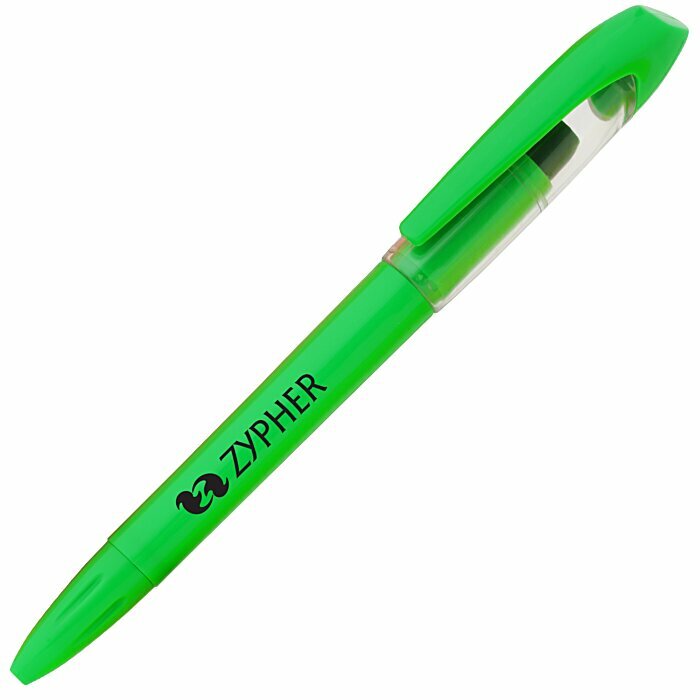 Your price includes a one color imprint on barrel.